The science department at St. Crispin’s redeveloped their KS3 program in 2018 to help students make greater progress. These changes encompassed three main objectives; to provide students with greater opportunities to develop skills required for success at GCSE; to integrate assessment methods which support and improve teaching and to develop a high level of confidence on key scientific themes. Students are grouped according to ability and these sets are regularly reviewed and adjusted, however, all students receive the same opportunities for success. Students in year 7 will study 6 main units, 2 for each of Biology, Chemistry and Physics. Throughout these schemes of work, students will have numerous opportunities to develop and gain an understanding of the 5 Big Ideas – Cells, Interdependence, Particles, Forces and Energy. 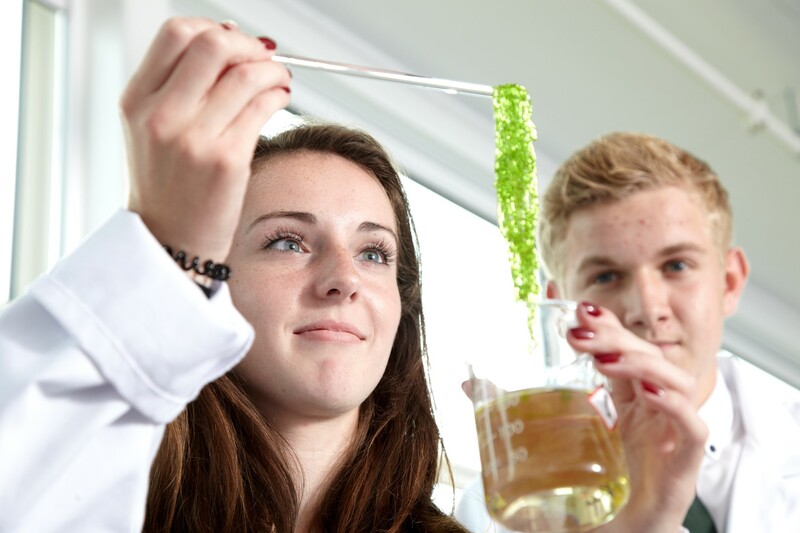 We have taken the opportunity to build the foundations for a successful GCSE journey, but have been clear that we do not want to simply start teaching GCSE much earlier, we want to spend our first years engaging students and building a love of science. Setting science learning in fun and engaging real world contexts, such as how bridges work with our bridge building challenge or the impact of using too much plastic. In 2015 Year 9 will be making the transition to the NEW style GCSEs. Students will first study the core GCSE concepts such as the structure of the atom and the cell. Following this induction course, students will then study the structure of the cell, organs and organ systems in Biology, Forces and Energy in Physics and Atomic structure and bonding in Chemistry. In science in Year 7 and 8 we set personal study every 2-3 lessons. Each teacher adapts their work setting to match the ability of their class, so some may set a slightly larger project to deepen knowledge whilst others may choose to set a little and often task to build good habits. Many of the personal study set at KS3 are on Doddle – www.doddlelearn.co.uk. Students can log in with their firstname – surname – year of entry in the format danielrose18 (if I started in 2018). Their password is by default password and the institution code is St Crispins. The majority of the tasks are formatted for tablet and all are at least viewable on a tablet (or PC etc). In addition, as we approach each test, we would expect around 2 hours of revision. Whilst this clearly would not be enough to cover every last aspect of the course, it is manageable, but more importantly, encourages students to focus on their weakest areas. There are lots of ways you can help as a parent in supporting your child. Revision Guides –At the start of the year we will offer students the chance to buy discounted revision guides which are really for revision. If you missed this opportunity, you can purchase from any bookshop or amazon for a few pounds. 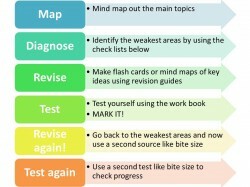 We recommend the CGP revision guide AND work book. To make best use of these we recommend the Dr’s surgery approach. Another great way you can help your child is to test them on key science words. For each unit, the student will be given a key word map. Both in class and at home they should update this with definitions and be able to use the words in the right context. Testing on these words can be really useful. We love to hear from parents, especially if you have feedback on how your child has enjoyed our approach to KS3. We have put in masses of development at KS3 and still have more to do, but if you feel that there is anything missing that you would like to see, then please do not hesitate to let us know.